306 pages | 22 Color Illus. | 93 B/W Illus. This book will be a comprehensive account of the various facets of nutraceuticals domain. 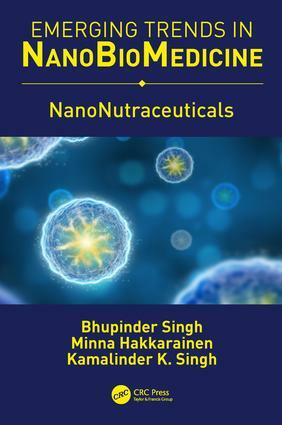 The peruser of this book will find details on various nanotech approaches to nutraceuticals, prebiotics and probiotics, along with their specific applications. Professor Bhupinder Singh, MPharm, PhD, DSt, FPAS, is globally acclaimed for his QbD-enabled nanostructured drug delivery research work. A prolific writer, he has 281 original journal publications, 16 books, 1 directory, 52 book chapters, 5 patents and 3 technology transfers to his credit. He is on Editorial Board of scores journals too. A widely travelled scientist, he has delivered more than 270 invited talks across the globe, and has duly trained tons of hundreds of scientists from pharma industry on QbD and nanomedicines. He has handled 15 research projects, and guided/guiding 31 PhD’s, three post-doctorates and 55 postgraduate scholars. Currently, he is serving as Founder-Coordinator of UGC Centre for Excellence in Nano Biomedical Applications, and Coordinator, UGC Centre of Advanced Studies (Pharmaceutical Sciences), both at Panjab University, Chandigarh.